Web site availability reports ought to be regularly supported. Today, I noticed that the thomasgardernsociety.org site was down about 10:00 PST. As of now, 15:25 PST, it was still not accessible. The service provider has a general comment about no ETA. However, they did say that there would be periodic updates. Well, five hours is way too long for such a period, IMHO. But, we'll have to see how this goes. The last noticeable outage was in June of this year. Prior to that, there had been no down times that were significant. Meaning, one expects to have tie ups due to several factors that users need to know. On the other hand, the whole notion of who owns what is an on-going debate (part of the "neutral net" arguments, to boot). We have dealt with this the sense of content versus configuration, for one. Web presence, that persists and evolves, will be an integral part of any communication strategy in the future. How this looks may differ wildly from our current level of technology, but some of the issues will remain hotbeds of discussion. A note went out yesterday about the TEG publication. The note points to our repository of papers. The email server is co-joint with the web traffic handler. Is that good? Well, all sorts of questions will be addressed. 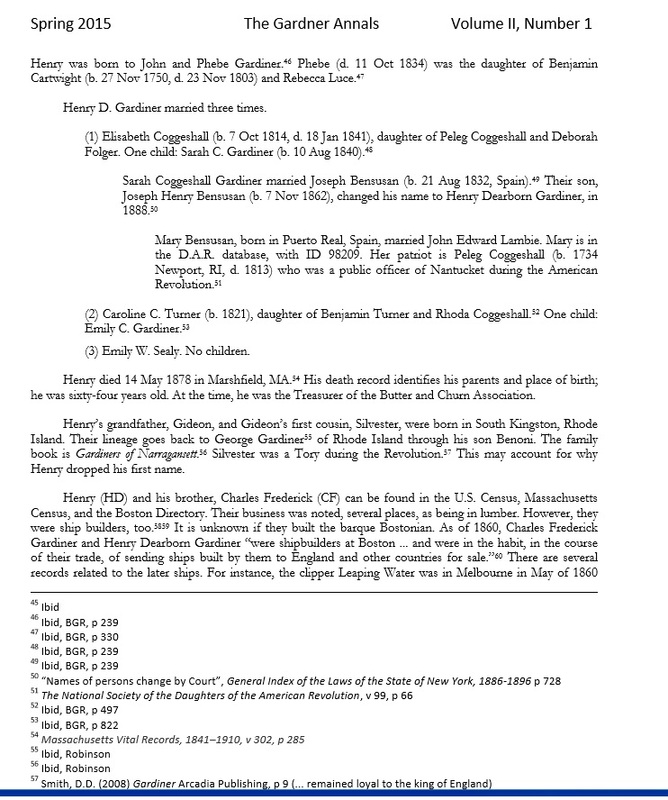 Under the auspices of Gardner Research, sponsored by the Thomas Gardner Society, Inc.
Switlik, John M. "John Sayward/Soward of Gloucester/Ipswich" The Essex Genealogist (TEG) Vol. 34, No. 4, November, 2014, page 210; In 1791, John Graves of Ipswich, MA married Elizabeth Sayward. Who was she? To answer that question, we need to look at Elizabeth’s parents. The article shows that her parents were John Sayward and Elizabeth Leatherland, of Ipswich, and, then, answers the question: who was John Sayward? Includes ahnentafel of an aunt of Dr. Frank A. Gardner, author. An earlier article covered his grandmother, Lucy Foster Wilson. Next up, his grandfather, Benjamin Brown Gardner. 11/22/2014 -- Started a post on the technical blog, using Word Press. The general topic is content management, however content, as an abstraction, has many levels. The discussion started two years ago when we had to move off of Microsoft's site and has continued. ... There are many troubles that we see with computing; now, some of these are old and gnarly, while others are due to the recent technological advances. You see, value from change is not always a positive thing. We will go more into that. 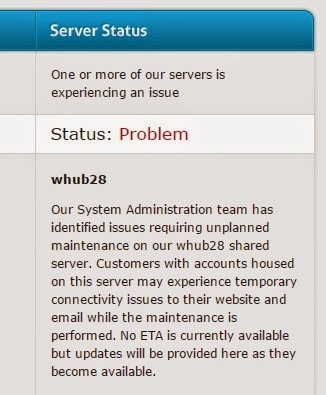 11/22/2014 -- 18:37 PST, still down. The overall discussion is what is necessary to show lineage (this post has a link to the prior post). There are two examples provided: verbose and very terse (is not the strong, silent type an American icon?). We are close to proposing a reasonable approach, based upon the ahnentafel format and a hyper-linked set (ah, hypercard, where art thou?) of supporting material. Granted, there will be some missing information such as one would like to know (sensitive stuff about individuals), however there are many ways to go about this (G+, FB, etc.) such that duplication of effort is not necessary. Too, we take the security/privacy issues to heart, strongly (as would Thomas, I would be). So, that larger picture will continue to be in focus. Aside: popular media abounds with stories of hacking, et al. Where was the media interest over the time frame of the internet's expansion/evolution(?) from the wild west frontier to its current state of disarray? Earlier, I used Dr. Frank's line: grandmother and aunt. I have just completed the ahnentafel for his grandfather, Benjamin Brown Gardner which will be published soon. In his 1907 book, Dr. Frank has a summary of ancestors, and early arrivers, for each of the spouses who married into the Gardner family. Except for one, Rebecca Knapp's (spouse of Simon Stacy Gardner) heritage is strangely missing. We have filled that in and have found it to be interesting (for one, Nathaniel Eaton - who needs to have his story retold and appreciated). Mind you, when I say ahnentafel, I mean a fully sourced lineage. Too, thankfully for Dr. Frank, the vast majority of the material is on-line (which is to be expected as we (and society) progress). Dr. Frank did seminal work. It is very much appropriate that we use him as the focal point to describe, analyze, discuss, and, hopefully (as in not be like Congress) resolve these matters. 11/16/2014 - For the two ahnentafel charts mentioned above, we intend to have a hyperlinked version on-line. Some of the source material is freely available; others of it are not (we will provide the URL anyway as a point in time marker). Persistence is the name of the game; fluidity seems to be the major vogue; ...; structure ought not be held as inimical (not categorically) by web heads (old guy talking here) or anyone else. 11/18/2014 -- Inspired by Nantucket work. 11/25/2014 -- Will be doing a special study of Nathaniel Eaton who was a graduate of Padua University and ancestor of Dr. Frank A. Gardner and many more. One thing we will present are Harvard Crimson articles (over the years, the tone differences are interesting). ... This story needs to be told from a neutral viewpoint that presents all of the sides. Take the "rod and child" view so prevalent in Christianity and so much in the news (NFL and more). Or, the right of naval captains to flog. Not to mention that both Winthrop and Endicott and more did not abstain from the practice (Quakers and more). We have a long list to consider. Then, take Rev. Nathaniel Ward's (uncle in the long chain of lineage) son who was flogged. For theft. Note, that Nathaniel Eaton is quoted in this article about his belief in his "absolute right" to punish, ... By the way, heard anyone talking of an elected official adopting an emperor's stance, of late? ... Dr. Frank did not elevate awareness of his ancestor due to his times (and, he was of Harvard). ... Yes, the Gardner story is central to all themes, of the U.S. story and beyond. ... Related view (America, Thanksgiving, ...). 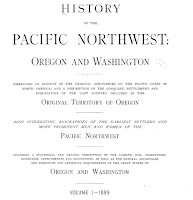 This week, there was a query from Dr. Stuart Gardner Garrett of Oregon about the "1850 Gardner connection" with the ship, Bostonian. Did we know? Well, no; however, there is an interest in places as they involve people. And, this story is very interesting. Too, Gardner Research has this as one of its foci. From one account, a ship coming up from San Francisco found another that had run up on a sand bar in a river in Oregon. One story was told by a descendant of a passenger on the later ship, Kate Heath. The ship that was lost was the Bostonian. Firstly, there were no lives lost; the crew had saved the cargo which was of a very useful variety. As well, the crew had begun to dismantle the ship which was used to build structures in the town that was to be. The cargo was stored on shore under the ship's canvas. At that place, the town was built using the ship's lumber and part of the supplies. The town? Gardiner, OR. It was named after the New Englander, named Gardiner, who had funded the ship. The descendant's account said that Coffin was captain. Actually, the captain was George Snelling who was a nephew of Mr. Gardiner. Another thing of note is that Winchester, Payne & Co. was involved. 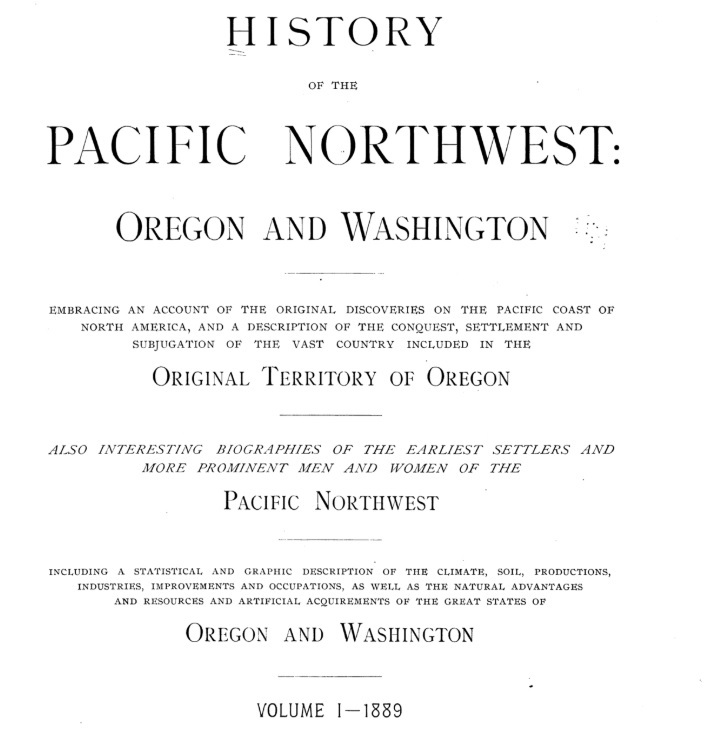 The History of the Pacific Northwest (Volume 1) had a nice coverage of the story. But, they did not have much about Gardiner. There were various suggestions in many later writings. Finally, research done for the National Register of Historic Places pulled things together (see page 8) in 1994. They identified the owner as Henry Gardiner, also Coffin was captain of the Kate Heath. Later work, added an initial. So, we have Henry D. Gardiner. But, who was, and whence came, he? To be studied further. There will be regular "Places" posts, due, in part, to the stories associated with them. 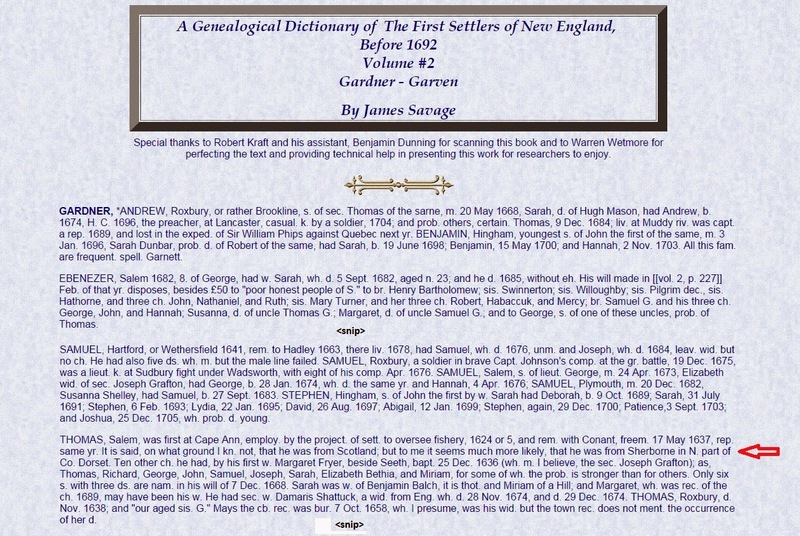 Descendants of New England's Gardners can be found everywhere in the U.S. New England towns drove all sorts of settlements (to wit, Ipswich Canada which covers the area near Gardner, MA but fairly remote in the 1600s). Lawrence, KS has a main drag of Massachusetts Avenue due to the influence of the founding folk. Not far away is Gardner, KS. Perhaps, a list of cities/towns named Gardner/Gardiner in every state ought to be done. Back to Henry, though. Unfortunately, "Bostonian" was popular for names of all types of boats (oops). Too, did no one in Oregon ask particulars about Henry, at the time? This seems so much like the case of hidden information about Thomas. 11/19/2014 - Henry D. Gardiner and his life/times. 12/23/2015 -- Places to research origin of: Gardner - CO, IL, KS, MA, ND, TN, WI, NJ; Gardiner - NY, MT, ME. 03/02/2019 -- Update of information (lots - Gardiner that was, Historic Puzzles). Added the image as we're building an index via images at our portal to truth. 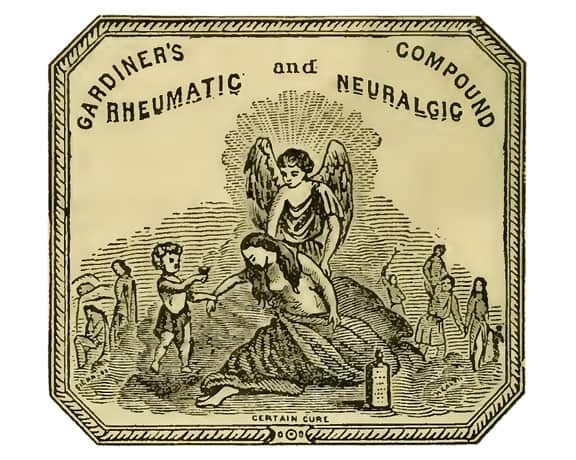 This post introduces the second issue of The Gardner Annals (Volume I, Number 2). This issue provides a look at part of an extended family; as well, ahnentafel charts (fully sourced for births and deaths) for two individuals cover six generations. In one case, the ahnentafel is fully defined. Several Cape Ann families are represented. 11/21/2014 - Switlik, John M. "John Sayward/Soward of Gloucester/Ipswich" The Essex Genealogist (TEG) Vol. 34, No. 4, November, 2014, page 210; In 1791, John Graves of Ipswich, MA married Elizabeth Sayward. Who was she? To answer that question, we need to look at Elizabeth’s parents. The article shows that her parents were John Sayward and Elizabeth Leatherland, of Ipswich, and, then, answers the question: who was John Sayward? There were prior posts dealing with blogs, from commentary about genealogists who are lead-footed to Blogs of the Year and more. This post will just be a blog roll, for now. First, how could Gloucester be a diversion? In fact, it is where the Cape Ann crew, led by Thomas Gardner (1624), spent their "almost" idyllic time. And, it is from there that the crew, now led by Roger Conant (1626), went to Naumkeag, soon to be Salem. So, the area ought to be of interest to the TGSociety. Further, the area was visited by people from Winthrop's boat (1630) when they were partying in celebration of making a successful voyage. Notwithstanding that, the place (Essex County's southern shore) was seen as disagreeable, so the power core moved west. Those who partied at Cape Ann, picked, and enjoyed, the fresh strawberries (extolled by Anne Dudley Bradstreet) of June. And, there are many more stories to tell. 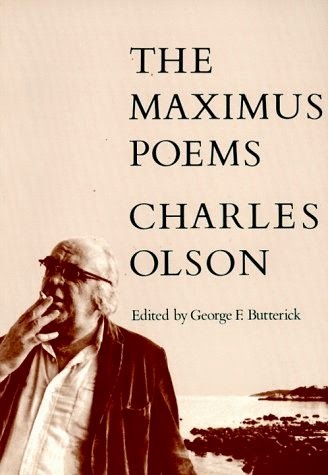 Speaking of which, in the context of earlier research, I ran across Charles Olson (Worcesterite by birth, but Gloucesterite by choice) a couple of times. Then, I ran across him, again, today on another topic. This time, I stopped to look more closely. And, the look motivated several things, a couple that we follow up on here. The following links are a good introduction. The first link is to a guide; the last two are a description of a meeting and a book review. The other three are to Charles' own writings (small sampling). Having run across this, the notion strikes me that we need to encourage, support several types of works that would relate to Thomas and the Cape Ann crew. And, this approach would allow for a better presentation of insights in a persistent manner (not talking technology). Now, that is a fairly open bit, yet, we'll contrast it further (below). However, there is enough given to motivate (I might dabble myself). [Note: 07/15/2015 -- see Remarks] As opposed to some more logistic/numeric approaches (consider, if you would, the emphasis on DNA (and similar studies) to fill in our being as it has been framed and given to us by the collective of our ancestral mix), we need to not lose our soul, so to speak (no disrespect to genealogy's attempts to make itself more empirical). Too, though, the above suggestion would help in creating emergent views from the minimal basis (see earlier reference to Tabla Raza). We also used paleoichnology as an example; principally, the ability to use knowledge, plus limited data, to develop a reasonably founded view of a complex system, such as were the dinosaurs. This is sketchy, from certain aspects. It is not from the tone of someone such as Charles. Aside: Essex County, of course, is the principal focus, where we let Salem (rightly or wrongly) shine (Gardner's Beacon has many meanings). We mentioned Ipswich, earlier. As it were, Gloucester was as important in that research (adjointness). So, we are giving it more attention. But, there will be more to come: Newbury and the other northern "buries" (several); Lynn, of course; Andover, well, we did mention that; and more. 07/15/2015 -- Paleoichnology deals with "trace fossils" which have been found. Some findings have more to tell us than others might. However, the sparsity of the fossil has not impeded conjectures that, then, allow modern models to come about. And, some of these are fairly elaborate. ... Do we not, as a public consumer, take a lot of these at face value? Oh, how would we be critical if not an expert? ... Now, similar techniques can get various labels that are more pejorative than not. Say, "wishful" thinking of families about their ancestors. Reaction to that has caused over-emphasis, we will show, on supposed "empirical" methods (even though, the deepest look ought to make one aware of quasi-empirical concerns). ... So, in our new work (Sherborne, Dorset), we will be using abductive means which were legitimatized by a Thomas descendant, namely Charles Sanders Peirce. ... Stayed tuned. 01/05/2019 -- About the same time as I wrote this, a site via WordPress appeared: Enduring Gloucester. How did I miss this? I guess, the focus on the western expansion that still has tales needing telling. There are posts on Charles Olson. 01/13/2019 -- Left a comment about this post at the Gloucester post. Recently, we introduced The Gardner Annals & Research. The use of Annals has several meanings, one of which was demonstrated in Vol. I, No. 1 and has been a regular feature of Gardner's Beacon issues since late 2012. Another use relates to reports of activities and, as we will allow, presentation of research results. Our purpose is to have material available on-line to support work related to the extended family of Thomas and Margaret Gardner. 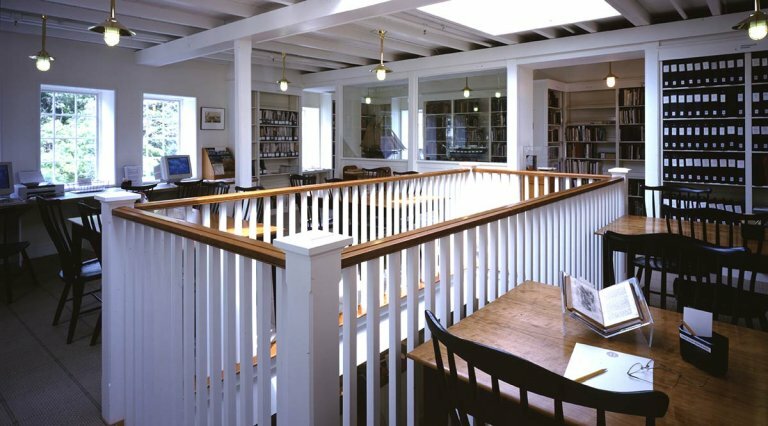 At the same time, some of the research work sponsored by the Thomas Gardner Society, Inc. will appear in The Essex Genealogist (esog.org). In regard to research, we will publish a list of open issues regarding the first three generations (let's say, in order to set an initial limit) that require attention. Now, what might be an issue? Well, it can be of a range of things that we hope becomes more clear as we gather material. Some of the issues have already been addressed in posts in this blog (say, How many wives?). Of late, there have been many queries about origins, or the "whence" issue. 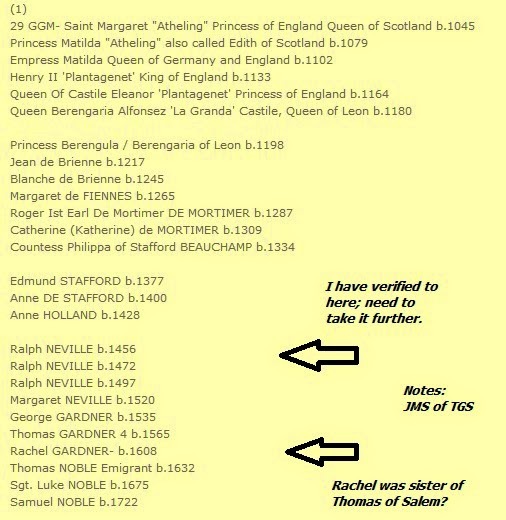 Today, a researcher pointed to a source for the baptism records of son, Thomas and George, implying, of course, that Thomas, Sr.'s location would be known. Too, though, one emphasis has been on collecting all of the Gardner-related works (and their conclusions) that have accumulated over the years. Of these, some have stood the test of time. Why this is so needs to be explained. Others may have some element of truth but are problematic. As an aside, the method would cover all. If something is swampy, then it'll be noted as such. Pet peeve: People running down research paths, learning lessons, taking what they want, but, then, leaving no records as they venture elsewhere. Some things seem to be quicksand; markers ought to be left behind in these areas. Now, how this type of thing might be done is not clear. Is it necessary? That can be shown, given enough time. By the way, hence we have the leaning toward on-line access and marking. See Vol. IV, No. 3 of Gardner's Beacon for a consideration of interests and goals of the Thomas Gardner Society, Inc. related to research and publication. 09/19/2014 - Ann Downing and Sarah Kimball are mentioned as being subjects of further research. One of Sarah (Kimball) Leatherland's grandmothers was Sarah (Whipple) Goodhue (yeah, Stories from Ipswich). Upcoming article in The Gardner Annals and TEG 34 (November). The next issue of Gardner's Beacon, Vol. IV, No. 3, is in the works. Per usual, there will be an update to the historic record in the "annals" format. Also, some details regarding the Corporation are provided. A couple persons of interest who are mentioned in the issue are Ann Downing who married Joseph Gardner. They are an example of those who did not leave offspring and whom we ought to make a special effort to remember. Ann is a fascinating subject and will be featured again. 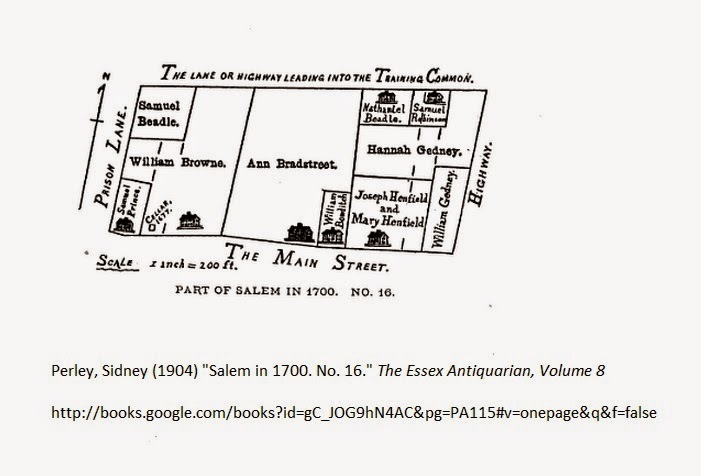 Perley provided maps of Salem with his book. On one map, he used Ann Bradstreet to mark the owner of a lot. Ann had married Simon Bradstreet after Joseph was killed in the Pequot War. It was her property prior to the marriage and belonged to her mother, Lucy, earlier. Perley took the time to trace transactions for the property, including partitionings done during Joseph's time and later. When Ann died, part of the estate went to Joseph's heirs who were sons of his brother, Thomas. Another interesting person is Sarah (Kimball) Leatherland who raised her kids after her husband, John, died when the kids were young. Sarah had to later go to court to get custody for son, John, who then joined, at a young age, the Ipswich military during the time of the French & Indian war which event some claim was practice for the later conflict with England. 09/15/2014 - More references use Lucy than not. A lot of focus has been on organizational issues, configuration, and such. So, one has to ask a question, motivated by McLuhan: is configuration the content? Some might argue so; it will be interesting to look at this further. We're about ready to get back to the matters at hand. Right now, let's start a list of topics to discuss. Links will be put in later. 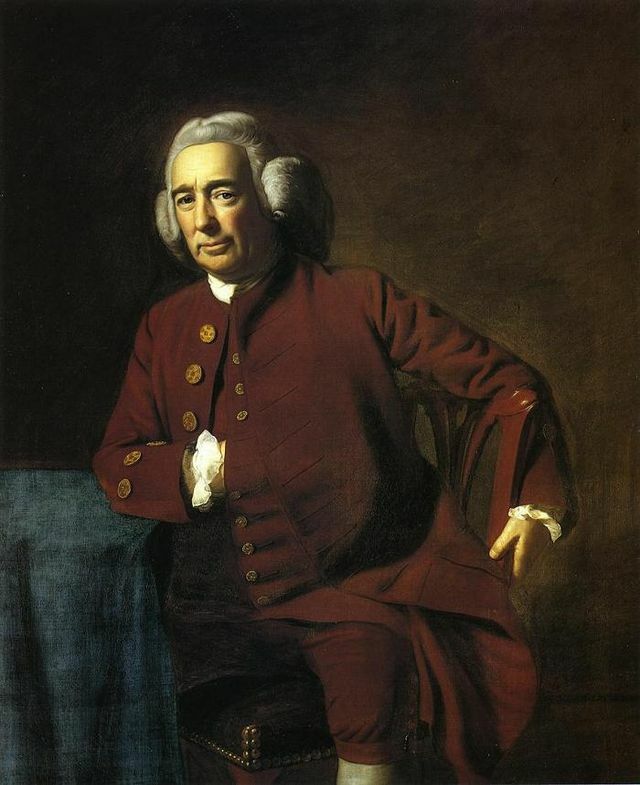 On method, and being motivated by Anderson's work, we can say this: genealogy cannot be any more empirical than are the social sciences. As many with brick walls might say, it's as dismal as is economics. Yet, given the prominent worldview with which NEHGS deals, honoring the ancestors ought to be of prime-most importance. Of course, more on this. Even if the biological is brought into the equation, there are still many things to cover that are outside of the mainstream. Now, the issue ought to be how to make these less problematic. Is that hard to do? Depends upon many things; it is worth the effort. In fact, it is just that sort of discourse where real insights into our past and those in it will (ought to) come into play. On Puritan Roots, deep and otherwise (again, Anderson), we will have to weigh in. Why? Not being secular, so much, but Thomas and his crew were probably the FIRST (and, we can research this) occurrence of a peaceable, effective mix (this we can argue and will) of adult humans who were without state and church (to be defined and described as necessary). For this accomplishment, which would not be seen as such by Puritans, secularists, and other limited viewpoints, Thomas and the Cape Ann group ought to have our eternal gratitude (and for their role as one source of the being of the descendants). The Cape Ann folks were without CHURCH and STATE despite machinations by their southern neighbors. Too, we can look at how Conant arriving with his minister in tow changed the environment. Yes, Roger the peace maker, it is said. For one thing, that shows that the Cape Ann crowd was healthy and boisterous. Despite the ruminations of Rev. John White (a lot more to add here), Thomas and his crew were successful. Rev. John mixed in those who were mid-way twixt the Cape Cod bunch and those of Cape Ann (Merry Mount, if you must ask) plus a few others. That he could not see the truth very much needs another look or two. John Endicott's arrival set the stage for the dire winters. Too many people at once swamping the resources is one thing that we will see. But, that influx could not be contained for almost a decade; no wonder the Natives (those who were here) were frictional in an increasing manner. The upcoming Gardner's Beacon will deal with some of this. 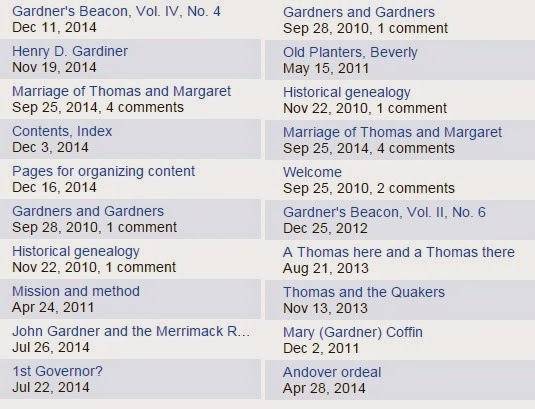 Too, The Gardner Annals will provide some genealogical looks which are intended to motivate Thomas Gardner descendants, and others, to submit material. 08/26/2014 - The following is being added for future reference. Limits of Genealogical Research (Genealogy's Star blog asking this question: Are there limits to genealogical research? ): Part One, Part Two, Part Three, Part Four, Part Five, Part Six, Part Seven. This post is a comment about a recurring subject about which there is not as much known as one might hope, after so many years. However, there is interest in getting the necessary work accomplished to fill in (some of) the blanks. Recently, there have been queries about Thomas and his pedigree. Each of these generated a little discussion. In one case, the discovery of the remains of Richard III (see Remarks 04/03/2015) helped bring one of these (a Tudor connection) to the light of rational explanation and some type of closure. There are several others. We intend to gather all of the views, considered so far, and their related material. Why? Just as this Wiki page demonstrates, it can help to have the discussions very visible for current and future use (if you can ignore the derisive tone of many comment'ors, especially of experts who, many times, seem to lose their patience). So, that type of thing will be a continuing bit of work. However, let's look at one example since it has interest from several viewpoints. For one, it is the work of another family, so we need to see what is what here. Too, it brings to fore the work that is needed. So, this is what we discuss below. Earlier, we mentioned that several proposals have been made about Thomas' sister, Rachel (2nd bullet). The image shows her and her pedigree (which, of course, if there were a relationship would implicate Thomas). I have marked the image which shows a gap. The problem generally is that many will close gaps without proper support for their argument (age-old problem). Now, having said that, just like we let experts make grand claims about life thousands of years ago, based upon current observations (as in fossils, etc.) and what is known (as in, very large extrapolation, folks), so, too, can (ought) families be allowed to explore their ancestral space (all sorts of metaphysical notions can come into play) in a rational fashion and do it safely. It is a meme issue (and, one goal is to explore this issue more deeply). Again, having said that, some fortunate (?) ones have (or can show) lines that do have documentation. This is nice as we can, at least, look, homologically, and find parallels. That means a couple of things. For anyone, relating to past events for your ancestors by looking at someone's experience (vicariously) is a human right. Now, for the genealogists, there is only this comment. Life is not documentation (notwithstanding the idiots of the cloud attempting to record/store everything - oh, they even record themselves recording?). In fact, we can look at Thomas, given the blank slate, from a more full phenomenological sense than those who left trappings from either their writings or their doings. Trappings? Yes. Doings? Consider John Endicott thinking of Mary Dyer as he went before St. Peter. Writings? A whole other realm to ponder. Additionally, though, genealogical experts, what was does not need documentation in order to make it right. Now, that statement ought not be misconstrued as condoning fictional presentations (that are labeled as fact, as fiction is a proper human endeavor - we see historical fiction everywhere being written). What it means is that the posturing, and such, of the experts has very little to do with the being-ness (then and now) of the ancestors. Have a little humility, gals and guys. Even if you bring in science, be a little philosophical about it. So, back to the image; there are several open generations that need attention. I recently read a 1921 paper (NEHGR, v79, p 358 - pointer to americanancestors.org) by G. Andrews Moriarty titled The Royal Descent of a New England Settler. He is talking about William Sargent of Malden. But, there are many other examples that could be used. The paper gives one a very good idea of the depth of attention that is required. Too, if this paper were rewritten today, it would be different. William Sargent is not on a lot of lists (of which there are many). Now, that, then, brings up the end of this. There have been many books and authors dealing with this subject. Frankly, I like to query those that are on-line. I am only going to use one book, for now. Thankfully, Richardson's books are available. At least, in the preview mode, on Google, one can see a summary of results, even if the page cannot be seen. So, here is one of Richardson's books (there is a search box - Neville, a whole lot to look at). Now, let's use Wikipedia. This page points to the Ralph Neville born in 1456 (you can trace back his pedigree, if you like, just follow both parents at each node - yeah, Wikipedia, from the world's oldest wiki'an). He did have a son, Ralph. But, the information on Wiki stops there (see image, and the upper arrow - there are five generations to prove). Has some researcher filled in the information? Notice the references, on which list you will find Richardson. Aside: There are people who go missing from family trees. I have several examples to show for this. But, getting them back into the tree requires making a strong case (lots to discuss there). On the other hand, lots of unfounded insertions have been claimed, as in children not known to have been of a couple's issue. Then, some of these are out of whack as biological facts are not considered; miraculous births are not expected to be accepted in genealogy (but, see the above comments on rational explanations). In short, there is work to do. What is not well-founded are any notions that the questions raised so far have been properly resolved. The important thing, though, is not all questions have been asked. The adage: When does a mathematician give up on trying to prove a theorem? Unless it is something pretty trivial, never, as long as there is reasonable interest, of course. 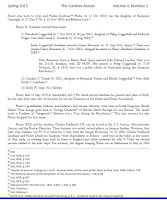 08/12/2014 - To complete this post, let's take the Neville line three generations further, Ralph, grandson of the Ralph above, had a daughter, Margaret (d. 1559), who married Henry Manners (1525-1563) as his first wife. They had issue. Source: Cokayne, George Edward (1949). The Complete Peerage, edited by Geoffrey H. White XI. London: St. Catherine Press. Henry Manners is not mentioned in Richardson's book which implies that no one over here has claimed he and his wife, yet. One complaint that I have seen is that a lot of effort has gone into proving lines that relate to people of interest (not my description), such as the rich and famous. But, even if that were not true, there would be many lines still unexplored after all of this time. In just five years, over here, I have found plenty of ignored people and, in fact, just completed a paper on one of these. There is an adage. Would you rather be of the set of those who are still looking or of those who made early claims that were later shown to be problematic (no need, really, to provide examples)? So, the work is, by no means, over. 04/03/2015 -- Recently, the remains of Richard III were laid to rest. Ever since they were found, there has been a lot of research done (some a renewal, some new). At the burial were some descendants of his sister (see Vita Brevis). Of course, that brought up the hypothesis of William Gardner being the one who did the fatal stroke. That was addressed in the Historical Genealogy post (and other posts). There have been many hypotheses offered, such as the one covered in post. We will take those (all of them) and bring in the facts and known state of research. About William, see this discussion (on the Richard III Talk page) and this note on the deletion of the William Gardner page on Wiki. The context to find, enumerate, analyze, report, and keep the information sound is Gardner Research (asking questions). The framework for publishing results that are well-founded will be The Gardner Annals and a FAQ. 01/23/2016 -- More information about Rachel and Thomas.